The Golden Triangle on February 1, 2003. Taken May 17, 2003. Dutcher's is the building on the right. 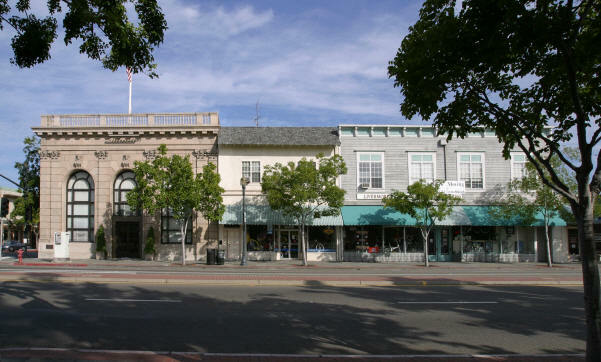 It and the middle building are Livermore Cyclery at the time of this photo. Both buildings were torn down on September 20, 2004. Livermore Cyclery is now on East First Street in what was the Kamps Furniture building. This photo appears on the eLivermore.com postcard. This was kind of like Livermore's version of the Winchester Mystery House. The near flag (larger looking) is on the Bank of Italy (Independent) Building. The far flag is the on the old Wooden flagpole. 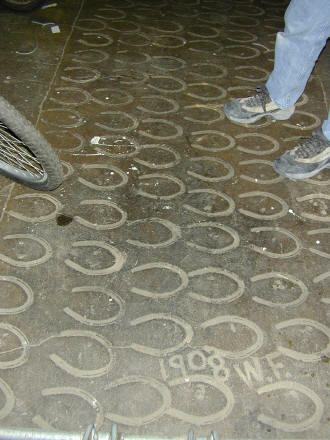 It was full of horse shoe imprints, that would have been put in when the concrete was poured. 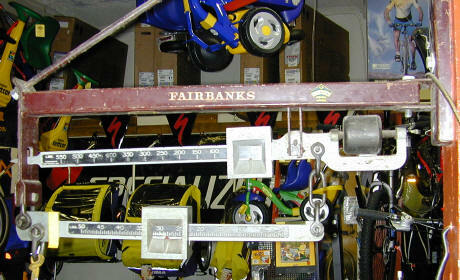 Old scale, from the Dutcher's hardware store, still in place while Livermore Cyclery was here. 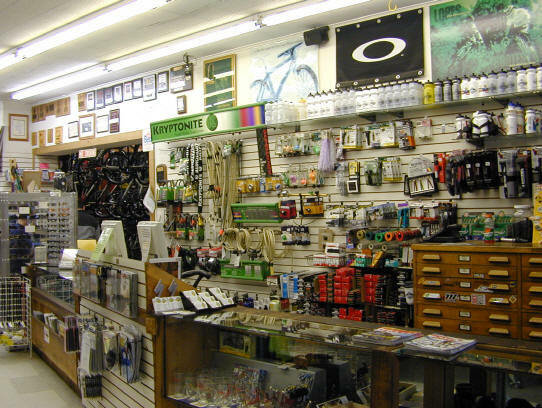 The counter at Livermore Cyclery. This was in the "McLeod Building" section. Through the doorway on the left is the Dutcher's Hardware section of the building. 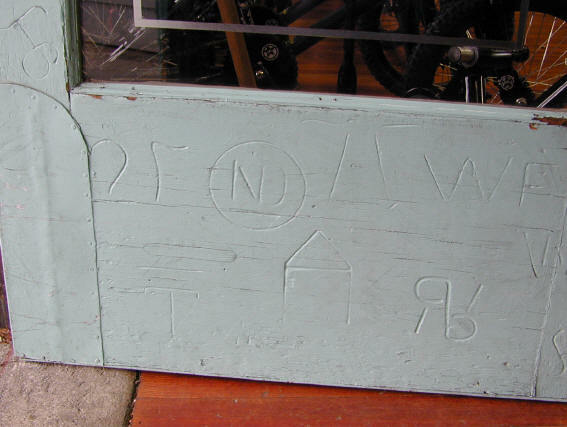 Dutcher's Hareware made branding irons, that left their mark on the front doors of the building. The ND is presumably for Norris Dutcher.